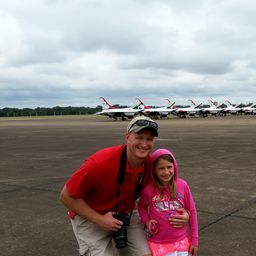 For several years military transit flights have stopped in at an Arkansas airport. A likely sight to be seen by these crews is a citizen who is known as Flag Dave, as hemeets them on the tarmac with a great thankful, American welcome. Flag Dave is out on the tarmac hoisting the American flag as they taxi in, greets them with thanks and appreciation for their service to our country, and also provides a gift package for them. Just as he welcomed them in, Flag Dave sends them off with the American flag held high. 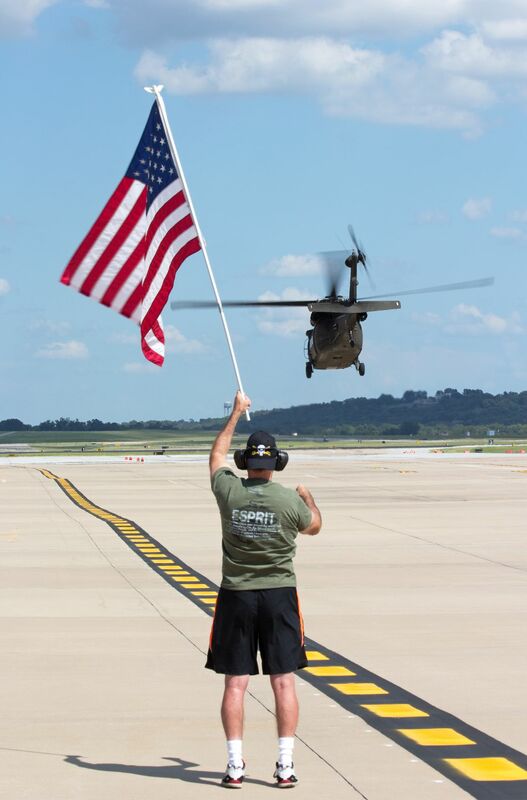 In this particular picture, a UH-60 Arkansas National Guard Crew is departing the airport with Flag Dave sending them off. Date Uploaded: May 20, 2017, 10:04 a.m.